Do you ever find yourself overwhelmed by the bedroom “clutter monster”? Feel like you can’t really relax with all those piles of stuff in plain sight? Well, you can stop stressing right now. First of all, you’re not alone in your battle to tame a cluttered boudoir. More importantly, there is relief in sight. Check out our 5 simple bedroom storage solutions and get ready to lay that ol’ clutter demon to rest. 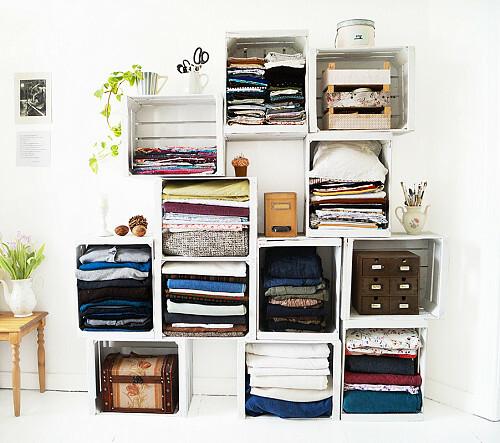 Organize your closet … at last! A customized closet organizer is THE solution you’re looking for when a standard clothes rod and single shelf just don’t cut it any more. Whether you’re the proud owner of an enormous walk-in or just a regular reach-in closet, optimize available storage space with drawers, compartments, and racks specially designed to suit your needs. PS: Today’s organized, highly functional closets can be a mighty handsome bedroom decor feature, to boot. Shelving takes top billing as a great storage solution for the bedroom (or anywhere else in the house). It’s such a simple, fast, and flexible way to create a place for everything you want close at hand. 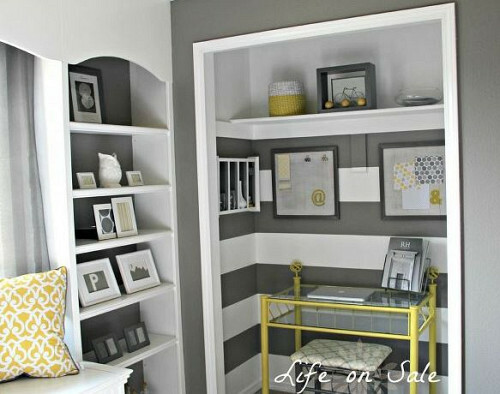 Take advantage of underused space -- a stack of shelves is perfect for the narrow strip of wall between two windows. 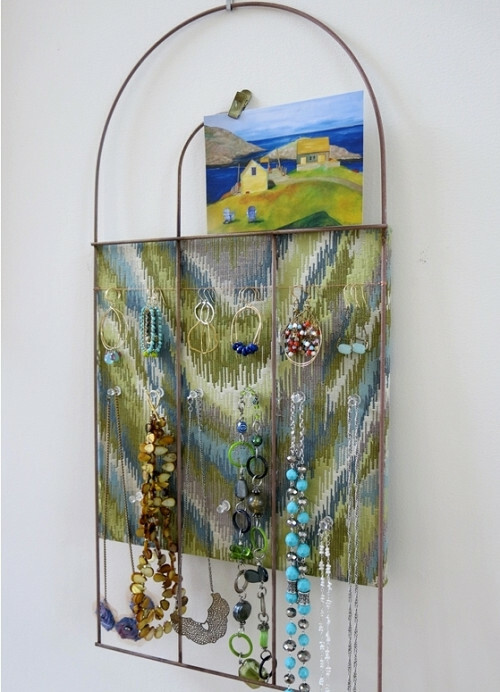 Display prized family photos and beloved knickknacks on open shelving or conceal your possessions in attractive baskets. Make your home office work! We know, we know, the experts tell you never to set up your home office in the bedroom. Easier said than done in the real world, though, especially when you share a smallish home with rambunctious kids (or roommates) and your bedroom tends to be the quietest place around. Here’s the answer: tuck .your workspace into a discreet closet or purpose-built cabinet, customized with essentials like a laptop tray, file drawers, a charging station -- and doors you can conveniently close when your workday is done. Sniff out “hidden” storage space! Put on your Sherlock Holmes hat and get ready to track down treasure. Tons of currently unused areas in your room (under the bed, inside an ottoman, or over your doorway, for instance) could be productively repurposed as storage. 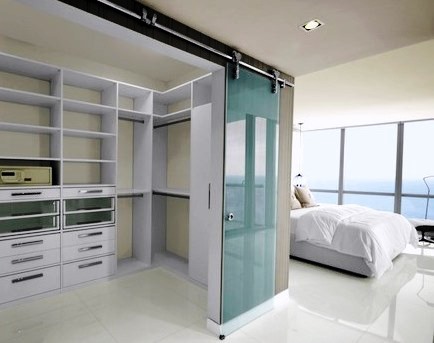 Use your imagination and -- perhaps the help of a clever carpenter -- to install pull-outs, fold-downs, and other ingenious devices which will maximize your bedroom storage. Don’t hide it, flaunt it! 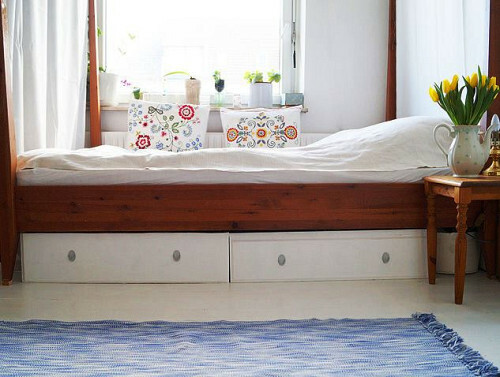 If you’re feeling brave, why not try one of today’s very freshest bedroom organizational ideas? We’re talking about the concept of boldly stashing your belongings right out in the open. No longer are storage cubbies, jewelry racks, or clothes horses hidden away in the depths of your closet or dresser drawer. Instead, all these are shown off in plain sight and surprise, surprise … form a uniquely exciting aspect of your home decor.